Office 365 Privileged Access Management: Too Flawed and Too Exchange? Microsoft has launched Privileged Access Management (PAM) for Office 365. The name’s incorrect because PAM only works for Exchange Online right now. PAM is based on RBAC, which is good, but is the implementation too Exchange-centric? 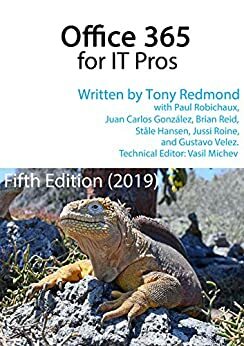 Posted in Administration, Exchange Online, Office 365, Security Tagged Administration, Chapter 4, Exchange Online, PAM, Privileged Access Management, RBAC Leave a Comment on Office 365 Privileged Access Management: Too Flawed and Too Exchange? Microsoft has released four new administrative roles to help Office 365 tenants manage Teams. It’s a good thing and we were able to include the news in the September 20 update for Office 365 for IT Pros.